This is Endeavour Martial Arts official ticket link. You'll receive a £5 discount via the link below. This will be an amazing night out. Join us for this monumental show as Caged Steel showcase the best MMA action at Sheffields, Fly DSA Arena. 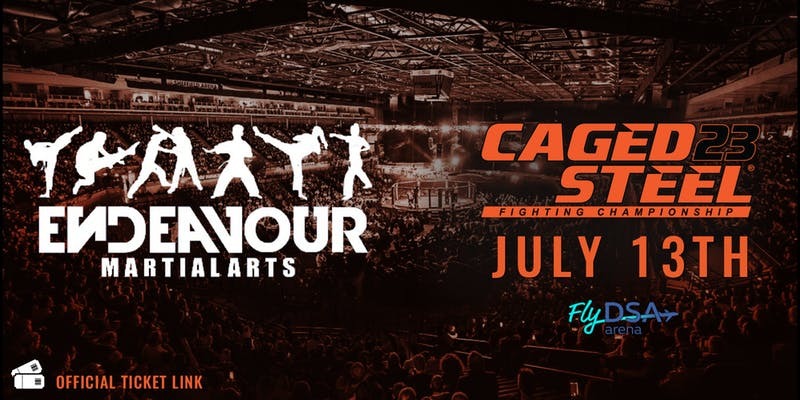 Talented fighters from across Europe and the UK will take to stage and compete in a thrilling range of Pro and Amateur fights - the highly desired Caged Steel Title will also be on the line for multiple bouts. The atmosphere will be incredible, one you'll never have experienced. This is a huge night, not to be missed!